If you have a wood deck, this is the time of year where you get down on your hands and knees, fixing any damaged boards, hammering down any protruding nails, sanding any rough areas, and eventually staining your entire deck. It is the same thing each and every year. Enough already! In the words of Sweet Brown, “Ain’t nobody got time for that!” You have more important things to do than stain your deck. The solution: invest in a Maintenance Free Deck for your Bel Air home. In recent year – well, in the past decade – composite decks, also referred to as low maintenance decks, have gained a lot of popularity for several reasons, the biggest being maintenance. With composite decking, you don’t have to worry about sanding and staining. You don’t have to worry about waterproofing every few years. These decks stand up to the elements, which is great news for Bel Air homeowners. After all, Maryland is no stranger to extreme weather, from blizzards to hurricanes and everything in between. A composite deck can make your home even more valuable, while providing you, your family, and guests with a place to relax and enjoy the great outdoors. Easy to clean and maintain, a composite deck might be the right fit for you! If you are looking for a company that is familiar with deck construction and design, look no further. 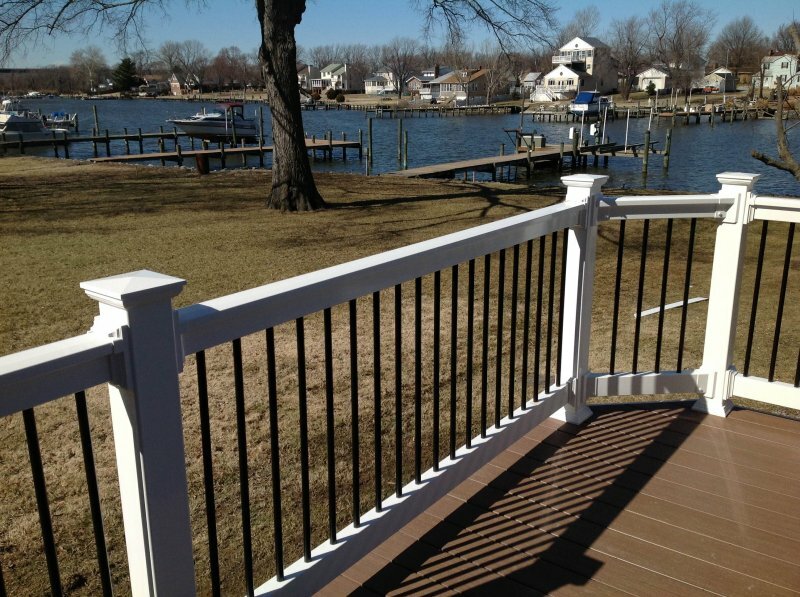 With 40 years of experience, Freedom Fence and Home has provided the highest quality fence and decking services to its many residential and commercial clients throughout Maryland. Our crews are highly trained and have been performing maintenance free deck construction for years. Click Here for a FREE Eastimate! If you have any questions about Maintenance Free Deck construction, please contact Freedom Fence and Home by calling 443-271-6841 or visit our website. You can also follow us on Facebook and Twitter! This entry was posted on Wednesday, October 15th, 2014	at 2:33 pm	. Both comments and pings are currently closed.